Weekly Psychic Development & Meditation evenings, every Tuesday. Once again an opportunity to flex your psychic muscle on a weekly basis! 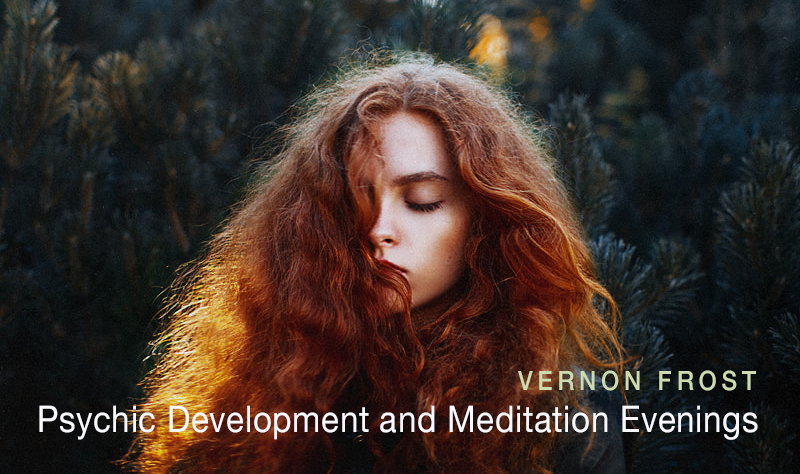 Yes, Vernon is again in South Africa long enough to run another of his popular and much enjoyed Development courses, combined with deep weekly guided meditations to help you unwind and bring balance to your mental, physical, emotional and spiritual bodies. These evenings will cover a wide range of topics from psychic development, personal transformation, learning to see auras, reality shifts, past lives, psychometry, learning to trust your intuition, becoming your authentic self, strengthening your extrasensory perception, powerful guided meditations and much, much more. They provide a wonderful opportunity to learn, practice and play with these concepts in a fun, entertaining, non- threatening way. Over the weeks Vernon will also work one on one with each person. As these seven weeks progress you will also notice the benefits of regular energy work as your resonance continually increases. Please note this venue is not in Gmaps, it is on Central Circle across the way from the Pinelands Municipal buildings, next to Pinelands Primary School.